Is a Loan Right for Me ? We always suggest that a debt consolidation loan is best for people that are certain they will be able to pay back their debts within a realistic period of time, but maybe not necessarily on the original terms. 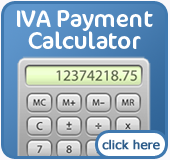 If your debt problem has become severe than an IVA or bankruptcy might be a better option. We have a number of resources on our site regarding those subjects. A debt consolidation loan can help make your payments more manageable, by putting them into one loan. If you have found that you have too many bills all over the place this might make life a lot easier for you. Most people that find a debt consolidation loan to be effective are those that have a number of credit cards with high annual percentage rates. A debt consolidation can put an important asset, such as your home, at risk if you don’t make your payments so be aware of this as well. Securedloanscompared.com have a great calculator which allows you to see the effect that, term, amount and credit rating have on your secured loans repayments. 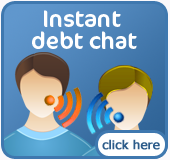 We always suggest that you pay off as many of the debts that you can. Some people get debt consolidation loans just to put off paying the money they owe and this ends up costing them more in the long term.